Just like mortgages and credit cards, auto lenders expect you to have a decent credit score if you're looking for a premium deal and good interest rate. A 600 credit score is borderline low, but you still have some negotiating options when it comes to securing a new ride. Although it is possible to get a car loan with a credit score of 600, you can expect the loan to come with a higher interest rate, which will raise your monthly repayment obligation. A 600 credit score probably won't stop you from getting an auto loan, but expect to pay a higher-than-average interest rate. Your auto loan is a secured debt, and the lender knows that unlike unpaid credit card debt, it can recoup at least part of its money by repossessing your car if you default on your loan. This means there's more leeway in getting a car loan, but it will probably cost you. Shop around for loans and start with your personal bank or credit union where you already have an existing relationship. This can give you better negotiating power at the dealership and help you secure a more competitive rate. If you have a vehicle to trade in or you can make a significant cash down payment of at least 20 percent, your odds for getting an auto loan with a 600 credit score improve. The more money you put toward the car, the lower the risk to the lender and the greater its incentive to give you a loan. 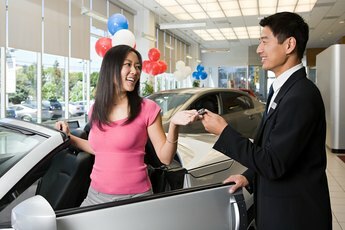 Identify the value of your trade-in before you go to the dealership by visiting Kelley Blue Book.com or Edmunds.com. If you are trading in a car with a balance owed, get the dealer’s promise in writing to pay off the balance as part of your transaction. If you're not having any luck finding an auto loan with a 600 credit score, consider asking a responsible, financially secure person to co-sign for you. This can help speed the approval process. Keep in mind that co-signing for you creates a serious financial obligation. 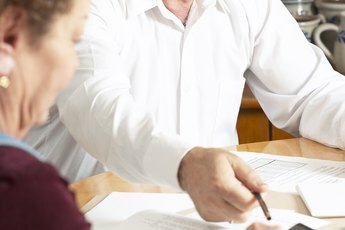 If you default on the loan, your co-signer is responsible for paying it on your behalf. This can put the co-signer in a tenable financial position and may hurt his personal credit score. Even a slight improvement in your credit score can help you get better auto loan terms. If you're not in a hurry to buy a car, consider waiting and making efforts to improve your credit score. 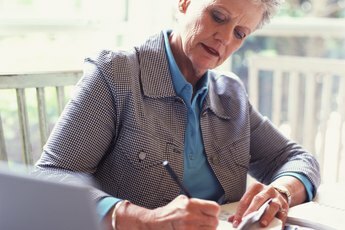 Review your report to ensure it contains no discrepancies or inaccuracies. Pay down debt where you can and pay all revolving payments on time. Once your score improves, go back to shopping for competitive auto loans. Bankrate: What Credit Score is Needed to Buy a Car? Is Taking Out a Personal Loan to Pay Off Credit Card Debt Smart?